[SatNews] The U.S. Air Force Space and Missile Systems Center’s seventh Wideband Global satellite communication spacecraft arrived at the Shuttle Landing Facility at Kennedy Space Center, Florida, on May 28th. Artistic rendition of the U.S.A.F. 's WGS-7 satellite. The shipment of WGS-7 is an important milestone for the spacecraft and launch campaign. This spacecraft is undergoing final processing, encapsulation, and transport to the launch pad at Cape Canaveral Air Force Station, Florida. The launch is scheduled for launch July 22 aboard an EELV Delta IV rocket. Wideband Global SATCOM provides anytime, anywhere communication for soldiers, sailors, airmen, Marines, and international partners through broadcast, multicast, and point to point connections. WGS is the only military satellite communications system that can support simultaneous X- and Ka- band communications, with crossbanding that makes it transparent to the users to communicate across terminal types. WGS currently collects and routes real-time data through X-band, Ka-band, and switchable X- Ka-band terminals, which are used for tactical and “comm-on-the-move communications.” WGS supports a variety of missions, allowing combatant commanders to exert command and control of their tactical forces, from search and rescue efforts to military operations. 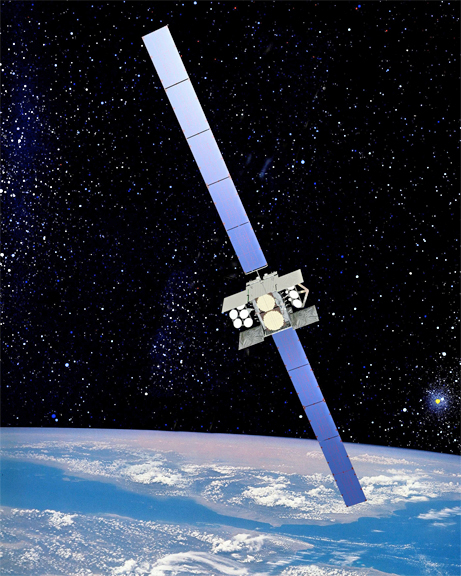 Built by Boeing, WGS-7 is the first satellite under a new contract approach contributing to a cost savings of more than $100 million. With three more satellites in production, the WGS constellation is expected to have a total of ten satellites on orbit by 2018.